When I started this blog almost two years ago I saw it, like most blogs as a self-indulgence to publish anything that took my fancy plant-wise especially with local relevance. My posts have been more infrequent than I intended and having been busy with other things this summer, I haven't posted anything since June. In that period a number of things have happened highlighting the lack of real value put on countryside that have caused me varying degrees of anger, and so for the short-term at least the nature of this blog will change. It might not be campaigning but it will feel like it. 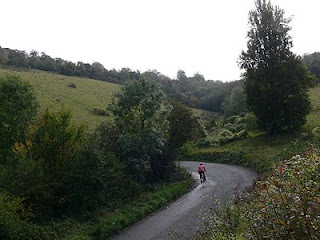 I am going to start with Box Hill. 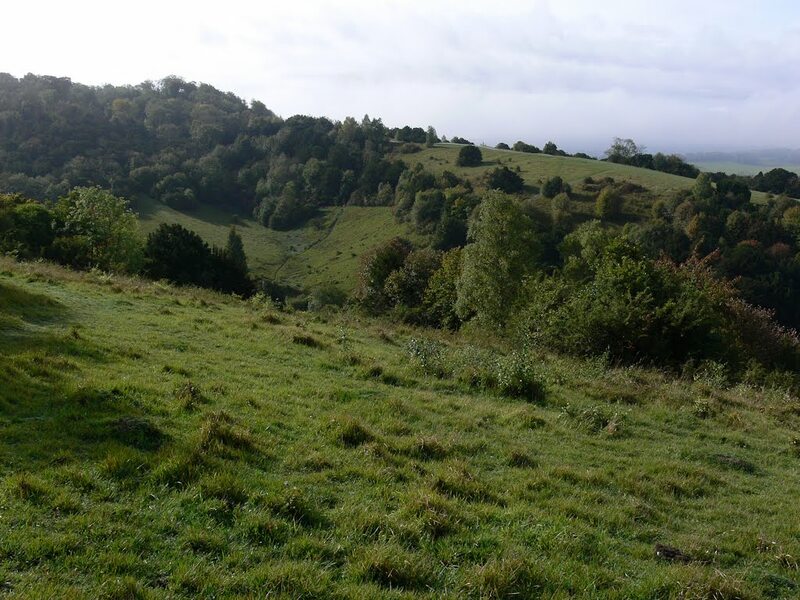 I have known the area around Box Hill for many years both as an area of outstanding beauty and as a bit of a botanical paradise. However, as the result of a passing conversation a while back I suddenly had a brilliant idea, why not turn it into a race-track. 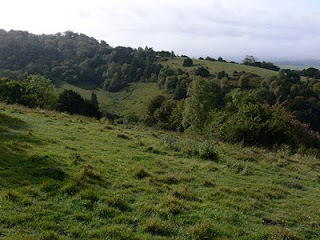 There is an area of Box Hill, known by the locals as the Zig Zag, a steep-sided valley in which a road enters at the bottom and then through a couple of hairpin bends traverses one side of the valley to eventually reach the summit of the Hill. Motor cyclists (and others) love racing up it and the valley sides make a perfect ampitheatre for spectators. Couple this with the route either to the south or north of Box Hill and we could set up a nice lap for a competitive race. The fact that the National Trust own it and I believe it is an SSSI should not really prove a barrier. Great idea! For those of you who know the area you might think I have gone mad, however this is exactly what is being proposed for 2012 although not for motorcyclists but cyclists. It is proposed that the Olympic road races for both men and women would incorporate this area in a lap that would involve the riders ascending the zigzag perhaps up to seven times. Obviously there has been much public consultation and discussion about this!! Well apparently no, at least not in the natural history world, it seems to have been kept quiet, with no posters advertising it even though the National Trust are apparently proud that the route has been chose for the race. Funny that the cycling press has been carrying the story for a long while. One wonders why it has not been broadcast more widely in the local area, or perhaps it has and I have missed it. I love cycle road racing, the Zig-Zag would be a great place to watch a race and I know it will only be for a few days but is it really acceptable that such a special place as Box Hill is subject to the intense trampling there is likely to be (have you watched the Tour de France) even for the Olympics? I don't think so but of course the Olympics mean money!. The provisional schedule for all Olympic events is due to be submitted to the International Olympic Committee this November and the final schedule will be approved early in 2011. There is still time to make changes, write to the National Trust! Overall, I can't help thinking that it illustrates the real problem that is associated with habitat protection in general, in that if money or other high profile influences come to bear, then for most it is nothing more than lip service!! Sad or not? Interesting...wonder how many other things are being planned around the country that we don't get to hear about until the last minute.